This section presents free classified ads for Toys and games for sale and to buy in Dublin. FREEADS in Ireland is a platform to post efficient advertisements or classifieds in Dublin. We help you find, buy, sell, rent or hire apartments, various goods for sale, local services offerings, cars, jobs and many more in Dublin. If you are not happy with ads you see on this page please use search box above to find other items for sale in category Toys and games and location Dublin or select another category. Anyone selling a childs silvercross pram? Really cant afford a new one. X. Excellent condition working perfect. Excellent Xmas present Age 4- 9 Rock the house with this X-treme Drum Set from Eztec. You can drum along with the cool tunes or make up your own songs as you go along. There's plenty to do with the 19-note built-in keyboard, DJ scratch pad, electronic drum pads and cymbals and a host of cool drum sounds and music styles to choose from. For 3-6 year old but with supervision two years just loved this I also found for young kids a great way burn energy. Perfect Xmas present could you imagine Xmas morning this blown up balloons in it and kids see this as on dry day could be wrapped up and still bounce away and keeping warm Assemble in approx 3mins and so easy to take down in approx 5 mins and folded away. Selection of toys great condition. Batman caves and figures . spider man house and car.box dinosaurs. Football table and air hockey. Lottie play mat Excellent condition Perfect for tummy time Pull ears and makes difference noises Great adventure for young child as find different sounds when rolling around and little mirror for your child to see reflection Hours of fun for your little bundle of joy Easy to store away Can. Like new excellent condition . Excellent for Xmas or birthday gift Original price 40euro 5 interactive spots that responds to your childs touch 2 modes of play for night time stories and lullabies and daytime read along books Pet, pat or hug Scout for active learning Many comprehension questions for child to listen and interact Teaches comprehension and early vocabulary. Hardly useD less than a yr old paid 100 selling for €50. 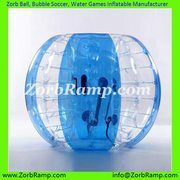 zorb ball, human hamster ball, bubble soccer, body zorbing, zorb football, walking ball, water roller, zorb ramp, zorb ball race track Unit Price: please contact us! Free Shipping! Material PVC or TPU of 0.8mm 1.0mm thickness. 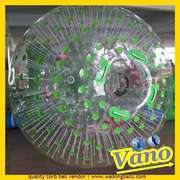 Customized sizes, patterns and materials Zorb Balls, Human Hamster Ball, Zorbing Balls for Sale - size 3x2m, 2. Hardly used kitchen loads of extra bits bought last christmas like new. Farms toys includes barn with fun animal/farm sound effect buttons at the front. The barn also has a hay bale lifter to lift hay inside the barn. Family farm characters. Tractor and trailer. Horse/animal stall. Fences and tress. Lots of fun..
Moshi Monster Mall, great fun for playing with moshi's. Slopcorn with over 40 Moshis inside (rares, special editions, food fair and circus included)..
Moshi Monster Gumball machine with over 60 moshis included (rares and special editions included). Great for storing moshi monsters.. This large soft toy would make a great gift for anyone!! 3.5 foot Honey Monster is from the sugar puffs adverts. Honey Monster is very cute and very fluffy Unwanted Prize. 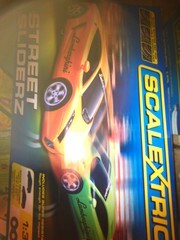 Scalextric Street Sliderz - Lamborghini and track extension pack. Excellent condition - very little use, in own boxes. Would make an excellent present.. Adventure Play & Design Ltd holds expertise in designing, manufacturing and fitting indoor soft playcentres in Dublin. They offer playcentres for corporate, community and family parties. Their rental charges suit your budget. Visit Here For More Info:- http://www.adventureplayanddesign.com. PlayStation 4 system provides dynamic, connected gaming, powerful graphics and speed, intelligent personalization, deeply integrated social capabilities. 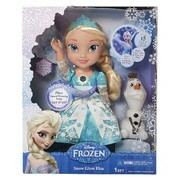 Brand new Disney Frozen Snow Glow Elsa Doll. Will ship direct to you from the USA in an unmarked box in time for Christmas. Paypal only. Contact me ASAP to guarantee your doll delivered by Christmas. Doll Price e65.00 Postage and Packing e25.00 Email me @ khughesenterprises at gmail.com. 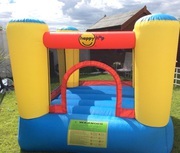 WWW.HAPPYCLOUD.IE Ireland's leading supplier of children's play equipment WE ARE OPEN 7 DAYS A WEEK - call to see our full range of products in Dublin or visit us online Contact Evelyn: 16409354 / 0871363786 All our products have, recognized worldwide, TUV safety certificates The firm offers a variety of swings, slides, climbing accessories, hooks, iron beam hangers, flexible, wooden ladder for climbing frames, commercial swings with metal insert for safety swing. VSMILE SYSTEM MACHINE CONSOLE WITH TWO GAMES AND 1 CONTROLLER ONLY 15EURO TRANSFORMERS OPTIMUS PRIME BOUGHT THIS ONLY LAST XMAS FOR 58EURO ONLY 10EUR TRANSFORMERS BUMBLEBEE ONLY 10EURO. Childrens play house bought from Smyths Toys, Dimensions: 125Lx92Wx129H(cm). With sink and stove set inset.Used but in godd condition. Product Attributes: ◦Made out of polyresin, with screws from stainless steel ◦Packed per 5 pieces of different shapes and colours ◦Size approx. Ø 70 mm ◦Weight: 0.90 kg Product Characteristics: ◦Resistance to changing weather conditions and UV radiation ◦Safety confirmed. Product Attributes: * 8ft /2.5m plastic HDPE slide in one piece * Positioning edge for correct placement at the platform * To be fixated with countersunk screws diameter 5 or 6 mm (not included) * Ideal platform height 4 ft ( 120 cm from the ground) * Maximum load 100 kg . 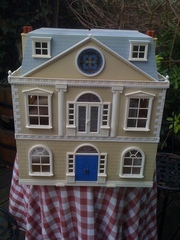 Sylvanias Family House and loads of accessories and sets Valued well over 300 euro new. First 100 euro secures Phone 087 2535193 Dublin 12 area. 90 nintendo ds games for only €65 that just €0.50 per game with free postage.. Brand new Thomas the Tank Engine wooden toy box for sale. Still in original box, unopened. Cost €60 new, will sell for €45 ono. Sell R4i Pack 2GO memory card Kinston, 15 euros. 1-R4i adapter (Version 1.4) (compact pack) 1-USB MicroSD card reader 1-2go micro SD card Kingston The R4i is ready to use and the OS is installed into the memory card. Text 0879649186 for collection in Dublin or use the web site http://www. A LARGE COLLECTION OF STARWARS FIGURES AND VECHILES, ALL IN GREAT CONDITION, ALSO POSTERS BOOKS AND LIGHT SABRES. THE PHOTO ONLY SHOWS SOME OF THE COLLECTION, FOR MORE PICS PLEASE EMAIL ME..
Ireland free ads for Toys and games, Dublin, Toys and games free ads Dublin, Toys and games for sale Dublin, Toys and games to buy in Dublin. This page is a classified ads listing for Toys and games Dublin. This listing includes classifieds for sale and to buy in Dublin. If you posted an advertisement on Toys and games, Dublin before please use Edit my ads button to change or cancel your ad. Toys and games Dublin ads Dublin, Toys and games classifieds Dublin, Toys and games free ads Dublin, ads for sale Dublin, ads to buy Dublin, FREEADS in Ireland. Find here ads for sale, to buy and rent in Dublin. Goods for sale in Dublin, vehicles for sale in Dublin, Dublin real estate for sale, Dublin property for sale, property for rent in Dublin, business ads in Dublin, Dublin business classifieds, services in Dublin, Dublin services ads, jobs in Dublin, pets for sale in Dublin, Dublin dating, Dublin cars for sale.